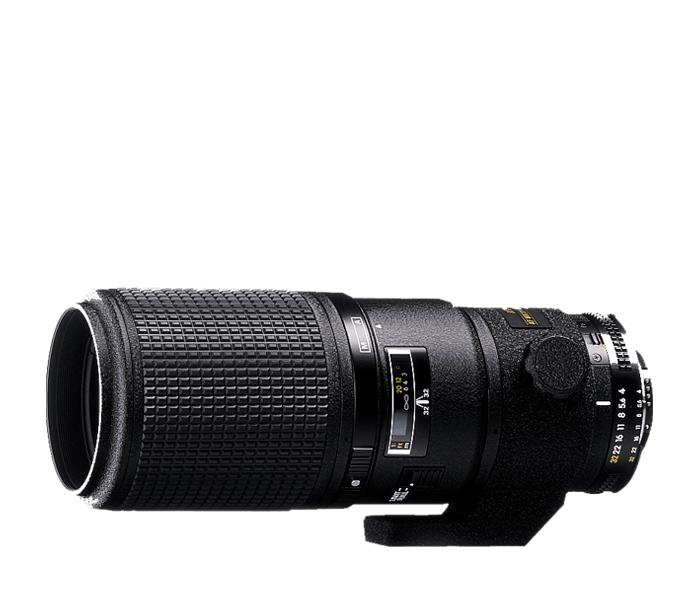 Powerful telephoto macro lens for maximum working distance. The extra-long 200mm focal length of the AF Micro-NIKKOR 200mm f/4D IF-ED provides maximum working distance between you and your subject, ideal for shooting flowers, insects and other tiny wildlife at a distance that won’t disturb them. Internal Focusing (IF) allows the lens to focus without changing size, another major plus for close-up shooting. Create stunning 1:1 reproduction ratio images with ease. With a 0.5 m working distance the AF Micro NIKKOR 200mm f/4D IF-ED lets you create remarkable life-size (1:1 reproduction ratio) images of insects, flowers and other wildlife without disturbing them. Extra-low Dispersion (ED) glass ensures high contrast and tack-sharp images. Legendary in the world of close-up photography, Micro NIKKOR lenses deliver superior life-size images of striking clarity without additional accessories. The AF Micro NIKKOR 200mm f/4D IF-ED is no exception. It combines that rich legacy of NIKKOR optics with advanced Nikon lens technologies to empower your D-SLR to peak performance in close-up applications.